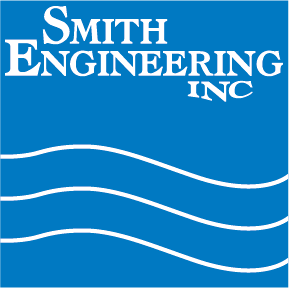 Smith Engineering is proud to announce the addition of Matt Taylor to our Sales Engineering staff. Matt and his wife April moved from Hawaii back to Minnesota to be closer to their grown children. Matt’s wife April, former chairman at Argosy University in Hawaii, have three children, Autumn – a Special Education teacher who’s married with two children; Madeline – also a Special Education teacher; and Aaron – a college student. Matt has a colorful history. Matt’s a former Marine Transport Helicopter Pilot. He has lived in Hawaii and worked as a Staff Officer at the Marine Forces Pacific Command Headquarters. When 911 occurred Matt volunteered to be on active duty again. He spent one year in Iraq. He worked in the green zone in the Four Star Headquarters which was located in Sadam Hussein’s old palace. He mentions, with a grin, that after working long 14 hour days he was able to exercise and perhaps even relax a bit in Sadam’s pool! Matt worked on the Iraqi Provincial Reconstruction Teams. He mentioned that after the liberation they were able to fly around the city in helicopters and one noticeable change was the addition of numerous satellite dishes on all the rooftops. Communication with the world was very welcomed along with their liberation. After returning from Iraq, Matt de-mobilized from active duty to the ready reserve, and in February 2007 went to work for Camber Corporation, as a civilian contractor specializing in training and mentoring at the headquarters level. Matt’s customer was the Special Operations Command Pacific, Camp Smith Hawaii. He worked in their Joint Operations Center and on the Training & Readiness staff to plan training exercises and evaluate readiness. The Special Operations Command Pacific is responsible for counter terrorism operations by advising and assisting partner nations in the Pacific Rim and southern Asia. Before moving to Hawaii, Matt worked in Minnesota as a project manager for MTS Systems and project application for Despatch Industries. He also spent time in Huntsville, Alabama at the Raytheon Company working on missile development systems. Matt is a graduate of Richfield HS, the U of M and holds a masters in Aerospace Engineering from MIT. Matt went through Marine Officer Training program with Smith Engineering VP Bob Lucas, who was his best man in 1981! He says he’s a long suffering Vikings fan, cold weather trained at Met Stadium. We are very pleased that Matt decided to move back to Minnesota. Matt brings a wealth of knowledge, experience, and integrity to our team here at Smith.